"At Lewis University, our BA and MA programs in Organizational Leadership are designed to increase learning and experience related to organizational effectiveness by focusing on the people that drive our organizations. By concentrating on important aspects in today’s workplace related to teamwork, conflict resolution, communication, organizational change and employee motivation, we are creating leaders that can help their organizations to achieve greater results. Our curriculum explores the leadership potential that each student brings to the program. Together, students and faculty create a dynamic community of learning by sharing experiences, expertise and best practices." 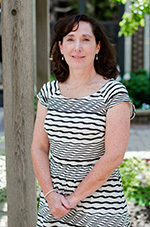 Dr. Lesley Page is an Associate Professor in the Organizational Leadership program at Lewis University. Dr. Page has been active in organizational research and consulting for over 15 years. She has served clients from a wide variety of industries, including financial services, consumer products, pharmaceuticals, retail and healthcare. Dr. Page also worked for 7 years at Sears, Roebuck and Co. specializing in the measurement of employee engagement and commitment. 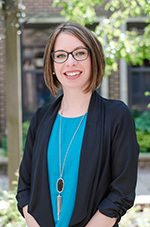 Her expertise is in both qualitative and quantitative research methodologies. She has integrated these methodologies in employee satisfaction measurement projects, customer satisfaction projects, best practices research and team effectiveness research. Dr. Page has also been involved in leadership development programs and assessment. She is a member of the Society for Industrial and Organizational Psychology. 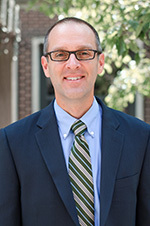 Dr. Scott A. Kerth is an Assistant Professor in the Organizational Leadership program at Lewis. Dr. Kerth’s experience is in line management, building and managing teams responsible for opening new markets, developing new processes or introducing change into an existing operation. Dr. Kerth lived and managed companies in Prague, Moscow, Singapore, and Barcelona. His 15+ years of management experience extends from new company start-ups to running regional headquarters and covers technology, venture capital, and health care industries. Dr. Kerth has presented at International Technology and Entrepreneurial conferences in France, Spain and Italy as well as the Midwest Academy of Management and Eastern Academy of Management in the USA. Dr. Kerth has lectured on Innovation at Millikan University and regional operations in the Trinity College Dublin MBA program. His research focuses on innovation and leadership as well as positivity and teams. To continually advance his passion for innovation, teaching and positivity he is an active participant in Second City’s Improv classes. 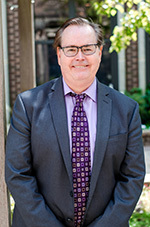 Richard Walsh is a Professor at Lewis University, Romeoville, Illinois and serves as Director of the Graduate Program in Organizational Leadership Studies. Before joining the Faculty of Lewis University's College of Arts and Sciences, he served as Secretary of Education in the Diocese of Joliet, from 1989 through 2001, working primarily in the area of leadership formation. Rich has served on the Adjunct Faculty of a number of universities across the nation addressing leadership in public service organizations. 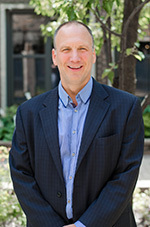 He has consulted with groups throughout the Midwest focusing on leadership formation. His research focuses on the constructing pathways to positive organizational emotion, and he continues qualitative research focused on emerging issues in leadership.